Over the weekend, first child and fitness guru Donald Trump Jr. posted a video of himself deadlifting 375 pounds in his socks. Those sound like the words of a man who listens to his (probably liberal) haters. Others may see something “horrible,” “poor,” “atrocious,” or “middling,” but I see someone who lifted 375 pounds. Once you abandon partisan concepts like “good form” and “health,” a whole world of possibilities open up for you. Why stop at 375 when there are higher numbers? Toss another 125 on that bar and torque up, Baby Donny. You’ll be fine, don’t be scared. It will make you cool and strong and people will stop scratching their heads at your CrossFit exploits. 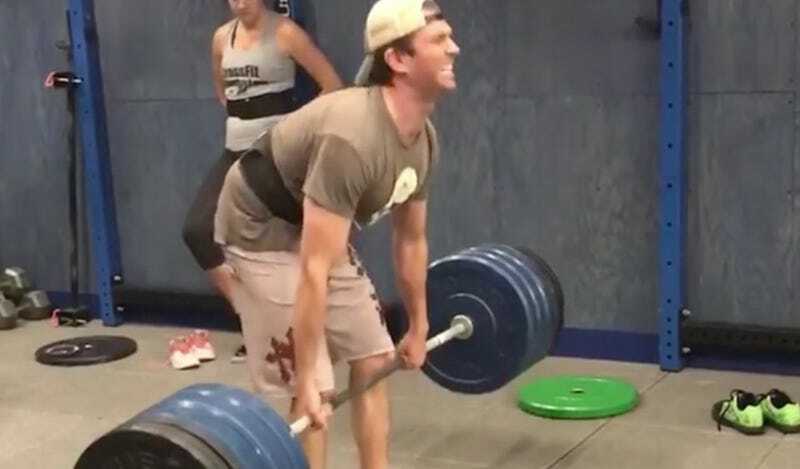 Please, Don Jr., pile on a bunch more weight, lift with your back, and prove your doubters wrong.